#CarmeloAnthony | Bring Your "A" Game Sports Talk! According to Marc Stein, Carmelo Anthony has played his last game in the NBA. In Stein’s latest newsletter, the New York Times writer reveals that he believes that the 10-time All-Star will not play another game in the NBA due to a lack of interest in the former scoring champion. I am hoping, just like last January with Philadelphia’s then-rookie Markelle Fultz, that I am actually jinxing myself by predicting doom here and thus helping steer Anthony back onto the floor with some faulty forecasting. The problem is that we’re approaching two full months since Anthony, 34, was exiled by the Houston Rockets after just 10 games together. 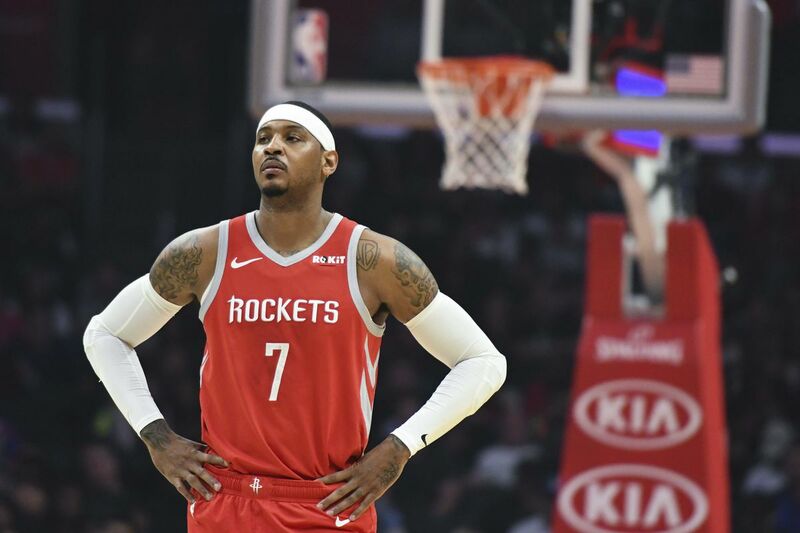 With scant evidence of interest in the former All-Star scoring machine, Melo fans have to be prepared for the growing possibility that he might really have no way back. Anthony has appeared in only 10 games this season, with his last appearance on November 8, when he had one of the worst performances of his 16-year career versus his former team, the Oklahoma City Thunder. The 34-year-old scored just two points on 1-of-6 shooting from the field and 0-of-6 from beyond the arc as the Houston Rockets lost 98-80. Following that performance, the Rockets announced that both sides would be going their separate ways, with Anthony remaining inactive until Houston could find a trade partner.